Sony may be about to unveil a new smartphone aimed at the Chinese market and fitted with MediaTek processors popular in the country. 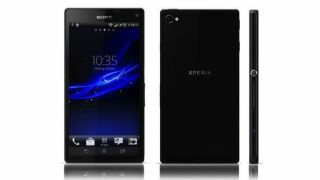 According to leaks on Tuesday, the Sony C3 will be mid- to high-end, 5-inch device that arrives with a quad-core MediaTek MT6589 processor. Although the device is unlikely to escape China, it's notable because Sony has, until now, never made a smartphone with MediaTek's chip designs. The MediaTek processors are cheaper than those produced by rivals, meaning Sony will probably be able to sell the device for less and in greater volume. Sony and rivals like HTC are looking to make more of an impact in the Chinese market, which is dominated by lower-cost handsets, rather than the flagship handsets we see more of in the west. Today's leak also hinted that the device will bring dual-SIM support and predicted a launch in the second half of 2013.